It might be due to the lack of good Xbox One exclusives (or maybe for reasons only known to the Redmond giant) but it’s clear Microsoft has been buying up video game studios like crazy this year. Last June, it bought Ninja Theory, the people behind the stunningly innovative Hellblade game and the fast-paced demon-slaughtering DmC: Devil May Cry action video game. It also picked up Forza Horizon makers Playground Games and Undead Labs (State of Decay) this year, and its upcoming acquisition of Obsidian Entertainment proves Microsoft is unlikely to end its studio-buying spree anytime soon. 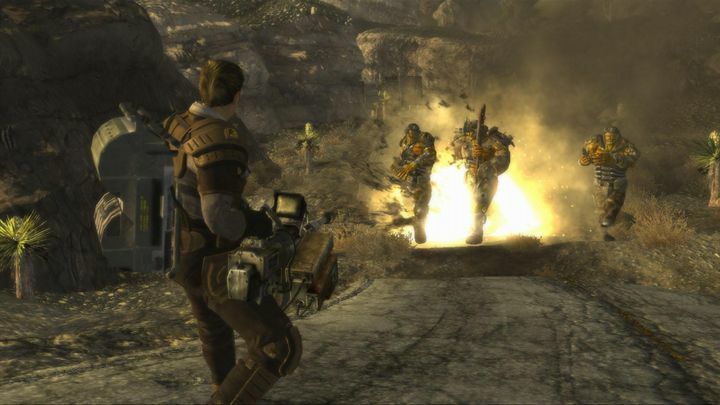 Of course, even if you’ve never heard the Obsidian name before, it’s likely you are familiar with some of its games: these are the people behind Fallout: New Vegas after all. The studio, which is headed by veteran designer Feargus Urquhart, is also behind Pillars of Eternity and its sequel, the highly-acclaimed RPG which earned Obsidian much praise this year. Another of Obsidian’s games (but a lesser known one perhaps) is 2010’s Alpha Protocol, and interesting spy game which sadly ranks amongst the worst video game flops to date. But now that Obsidian is under Microsoft’s mighty umbrella, it will be interesting to see what the renowned studio will come up with next. According to Polygon, one upcoming role-playing game Obsidian was working on before being acquired by Microsoft will be published by Take Two, while the Redmond company also said Obsidian and the other studios it has bought in the last couple of months will continue to operate independently (but with heavyweight support now, of course…). Aside from Microsoft’s, which after buying Obsidian will have completed its sixth video game studio acquisition of the year (it previously bought Torment: Tides of Numenera dev inXile), there have been other acquisitions in the video game world this year. Back in February, THQ Nordic bought Koch Media, the people behind the Saints Row and Metro games, although this was a larger move as the company has more than a thousand employees and that deal was worth more than $150 million US dollars, while Obsidian is a relatively small indie studio which employs less than 200 people. But still, here’s hoping Obsidian’s time with Microsoft ends up working well for both sides, and that the US studio keeps pumping out great games in the future.